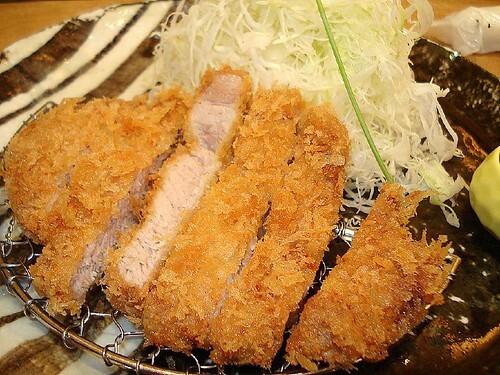 Tonkatsu 120g (¥1,050), originally uploaded by Camemberu. We saw some nice food photos outside this little nondescript door along the Sanjo-dori shopping arcade. The door opened to an atmospheric pebbled alley, and led to a gorgeous restaurant. We loved the strong air-conditioning, the impeccably friendly service but had no clue about how good the food really was. Until we saw what the next table was having. Oh my, everything looked good, even the generous mound of shredded cabbage! Hubby chose a regular tonkatsu (he doesn't like Kurobuta, which they also offer). It was cooked just right, wonderfully tender without any strong porky taste. Very thoughtfully served on a wire platter above the plate, so the bottom part doesn't get soggy with trapped heat/condensation. 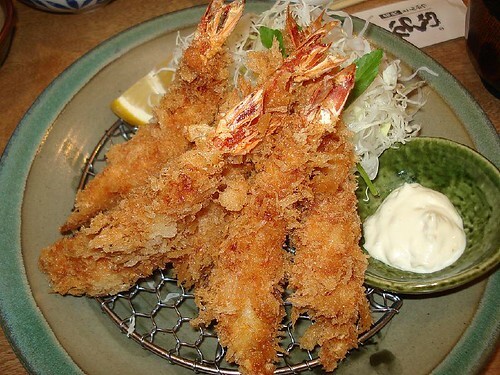 Ebi fry - five pieces of crispy heavenly prawns (¥1,400), originally uploaded by Camemberu. I went for a five-piece prawn set. Oh my, how well they were executed - breadcrumbs flaring out in angry, crisp formations. The prawns were very fresh and large - I ate even the tail shells. The most amazing thing about the food here is - you don't get that greasy satiated feeling even after downing such fried food. I almost felt like ordering more! Your personal bowl of freshly roasted white sesame seeds, for you to grind, originally uploaded by Camemberu. There are a couple of nice practices here too. 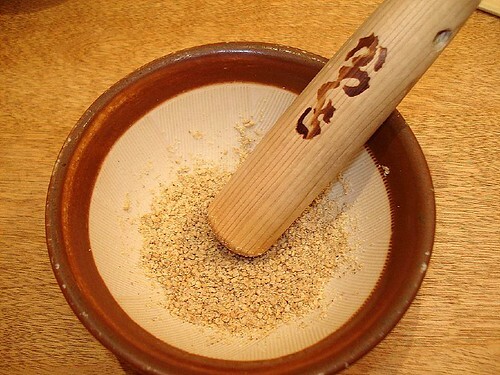 Before your food arrives, you are given your own personal suribachi (mortar) and surikogi (pestle) along with some freshly roasted white sesame seeds. You grind these (releasing lovely aromatic fragrance) and add these to your sauce (I preferred to dip my item into the sauce first and then coat lightly with these). They serve huge pots of Katsukura special tonkatsu sauce, yuzu dressing and pickles. The shredded cabbage becomes a most delicious and refreshing salad when you pour yuzu dressing on it. They also top up more cabbage for you if you so desire. 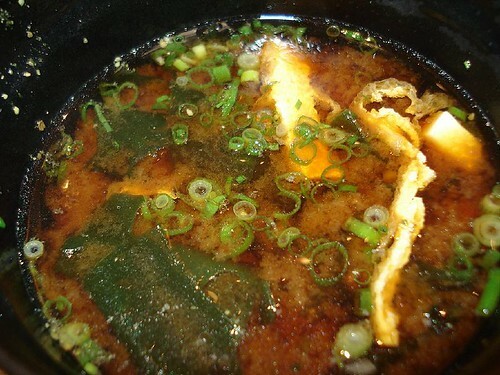 Even the miso soup is extra delicious!, originally uploaded by Camemberu. I love a hearty miso soup that's chockful of ingredients. The one here does not disappoint. Even the tub of rice they provide with the set meal is very satisfying - I think I ate every grain! A name to remember, originally uploaded by Camemberu. I don't care how reputable Maisen and Tonki are...after tasting Katsukura, this gets my vote for best tonkatsu (breaded pork cutlet) and well, breaded fried anything in Japan! OMG this ranks as one of the top meals we've had on our trip and I guess it was extra nice because it was a sheer fluke discovery! hi I just came across your blog...nice stuff. I also think Katsukura is the best Tonkatsu ever! I frequent the one in Shiodome City Center whenever I am in Tokyo. Fantastic. If you go to the one there, next door is now a Singapore Chicken Rice restaurant...complete with merlion...and I think 3 doors away, there is an amazing red bean, mochi, greentea icecream dessert place. Amazing! Must try. I've been to Sanjo's Katsukura restaurant twice and love it too! The yuzu dressing complements the cabbage very well; Tonkichi just can't compare. There was also a Katsukura in Shinjuku (the building with the Tokyu Hands) the last tine I went there in Tokyo. omg! 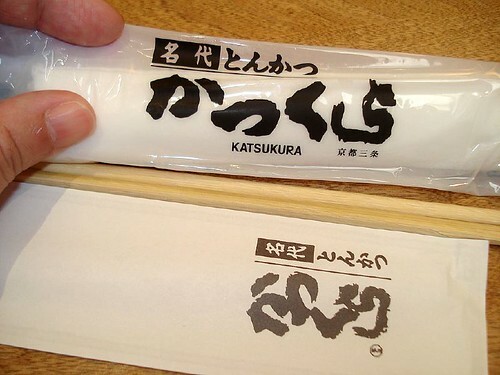 I love Katsukura! I used to go there all the time when I lived in Kyoto... I miss it so much! So happy when I found that they have tonkichi here. Yes, Katsukura is da best!!! Tonkichi cannot compare, actually.